Ties between South Africa and Tanzania are to be strengthened after the two countries agreed a collaboration between their respective Export Processing Zone Authorities. 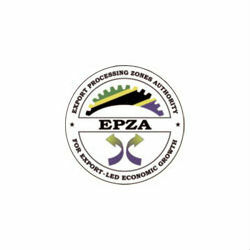 A delegation of senior South African government officials recently visited Tanzania to meet Tanzanian Export Processing Zone Authority (EPZA) officials to discuss the authority and learn more about its work. The outcome of the visit resulted in an agreement to establish working groups in both Tanzania and South Africa to collaborate and strengthen their respective EPZAs. It is expected that as a result of their greater cooperation, both countries will see an increase in investment and bilateral trade. Ms Elizabeth Thabethe, Deputy Minister of Trade and Industry for South Africa, announced that her Government would work to ensure investors for Tanzania in areas including agriculture and mineral processing. The Tanzanian Export Processing Zone Authority operates to attract Foreign Direct Investment to the country by supporting the development of industrial and commercial infrastructure to create a suitable business environment for investment. To learn more about EPZA read the exclusive interview by TanzaniaInvest with EPZA Director General Dr Meru.